As Participatory Budgeting (PB) in Scotland continues to develop, there is a growing need for skilled facilitators from the voluntary, community and public sectors to support local PB processes. We’ve put together this short questionnaire to help us find out what the training needs are in Scotland, and what training delivery methods would be most useful. We are looking for responses from people who are interested in taking up PB training opportunities, and from people who have previously participated in training at either a local or national level. PB Scotland will use the results of the questionnaire to inform the development of a national training offer in 2019 and beyond. The survey has 7 questions and should take between 5 and 10 minutes to complete. This is survey is now closed. 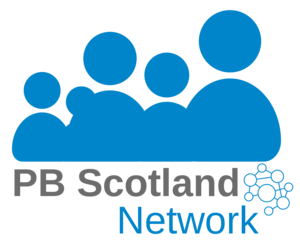 To get in touch with your ideas, email info@pbscotland.scot.